Apple iOS is considered to be among the most secure operating systems given its restriction to the source code and high protective nature about the apps. Apple does not give permission any app to be included in its OS without vetting, and that has made its apps much more lucrative to other users. As a pioneer to the tablet devices apple also provides a unique but attractive interface to all its devices, which taunts others. Moreover, the high price of its instruments has kept the devices out of the reach of ordinary people and has classified its branding as for elites. If all the above is clubbed together, then it haunts the developer to develop any software, which can run the iOS apps and give, your device an iOS interface look. We will provide solutions to these two problems in this article and give you suitable options so that you can fulfil your dreams to have an iOS replica. Emulators and Simulators are two types of software that is useful to have an iOS ecology in Windows. What are Emulator and Simulator? Before we start, we should understand the difference between these two. Emulators are software that creates an environment in a system, which can behave like the other system. A simulator is a software, which gives you only the interface of one system in another. When emulators give you the freedom to run apps and games designed for iOS to run in Windows, Simulators cannot. Why Can We Not Have an iOS Emulator? Apple is an industry, which has its hardware as well as operating systems and other software like apps and games. From the prime objective of Apple, it is clear that their marketing strategy is entirely different. They have never allowed any other to use either their hardware or their software in any device other than their product. If you want to have it, own their device. We have already mentioned earlier that Apple allows using its content through its own devices. It is the fundamental difference between Android and IOS operating system. Android is an open source operating system, which has allowed the base source code accessible to any developer. Unfortunately, Apple iOS source codes are not available to anyone apart from Apple, making it closed source code. Besides, there is no possibility in future to publish these origin codes to any of the developers. I believe by now you have understood that there cannot be any ios emulator available now or in future unless Apple changes their business strategy. Frustrated, continue reading for our solutions. Before jumping to find the answer, we need to understand what kind of people are in search of either iOS emulator or simulators. Firstly, some people want to convert the interface of their windows similar to an Apple device. Secondly, the developers who want to launch their apps or games on the iOS platform. To facilitate these developers, we furnish our best-researched iOS simulators. iPadian is the first in the list which has the most popularity. 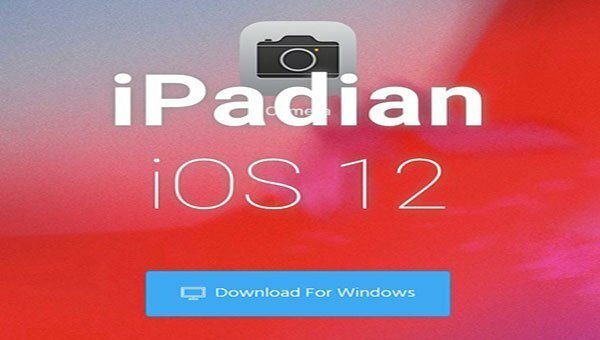 When you want to get a feel of the iPad in your Windows10, this iPadian can fulfil your aspire. The iPadian has the same icons gestures and look of an iPad. Unlike iPad, this simulator comes with all the popular app like Facebook, Twitter and other pre-installed in there. The simulator provides a customizable app store, which gives you, access to some of the iOS apps. Besides this simulator has a sidebar, dock and dashboard, which comes helpful, while playing or switching tab. The best part of iPadian is the games available within it. You can play the games sitting in your PC and get a good iPad feeling. The performance of this app is quite high in windows as well as Linux. The simulator comes as a free and paid version. In the unpaid version, you have limited access to the preinstalled apps only. While in the paid version, you can use a variety of iOS apps. One can easily enjoy iPad experience with apps and games. There is no room for testing a new build. 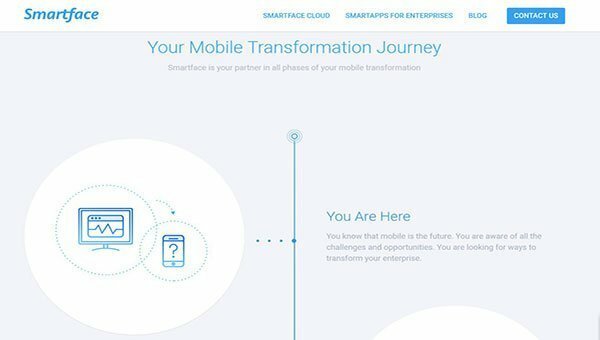 Smartface is the solution of the second kind of people or the developers. Smartface is the solution of iOS app development in Windows and Linux. It makes the life of developers easy to develop iOS on windows with its cross-platform technology. You can emulate your app in a single click. Smartface is therefore not a virtual cross-platform simulator; it also allows you to debug your app in windows with full debugging features like watches, breakpoints and real-time code changes. Due to all these features, the developers can launch their apps quickly and test them in a real environment. One stop solutions for developers. Another cloud-based cross-platform iOS app tester is APPETIZE.TO. On the subject of app developing, you could establish your iOS apps and games with the help of this iPhone emulator on a cloud platform. 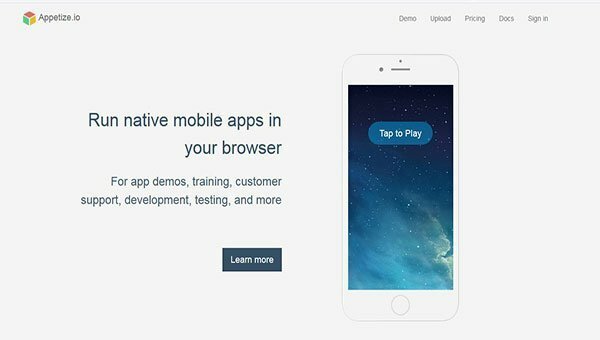 The website comes with an excellent live demo of the app you want to test. Also, it has huge documenting support for the developers. The developers can get help in creating, updating, listing of iOS apps with sample source codes in this platform. Although not as a genuine iOS emulator or a simulator, this is a beneficial tool for iOS developers to emulate their apps through APPETIZE.TO. All these features have made this as a favourite for the developers but the ordinary users have no place of interest in it. Xamarin Testflight is one of the best ios emulator one can use currently. Its one of the first official iOS emulator which can be easily used on pc devices. Whether you’re a developer or just somebody who likes to see if the Apple ecosystem is for you, this emulator works smoothly. One of the coolest things about this little iPhone emulator for PC as a programmer is that you can be able to debug easily using Windows Visual Studio Enterprise. Another thing you need to know is that the emulator facilitates this entire project and you don’t have to worry about anything. The software is too easy to use and simple. 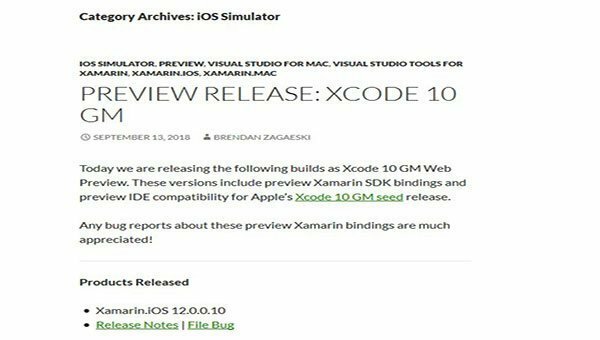 There are certain limitations on the use of Xamarin however, for beginners the emulator will only run apps designed for iOS 8.0 or later. In both cases, it is better suited for professional use instead of conventional usage. We will conclude our list with the name of AIRiPhone, which aimed for the common user, not the developers. 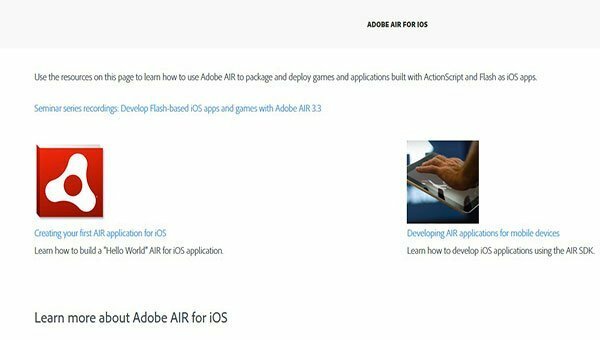 AIR iPhone is an Adobe AIR product that replicates the iOS GUI. You have to install the AIR framework before Air iPhone. AIR iPhone isn’t entirely purposeful, for the developers. The net browser, Safari, and most other capabilities are not available on the replica software. These packages don’t run like I phone since the software creates the environment but not the hardware support. Important to note that there is no recent release of this software. Good for getting iOS experience but not very practical. When you are in search of iOS emulator for PC, you will find thousands of article providing you with big lists. Do not get confused as they are not offering you the real fact. We have explained in details about the difference between ios emulator for windows and the actual products, which are simulators. Also, we have tried to segregate the ineffective links for you. If you like our research, do give a thumbs up in the comment box below.